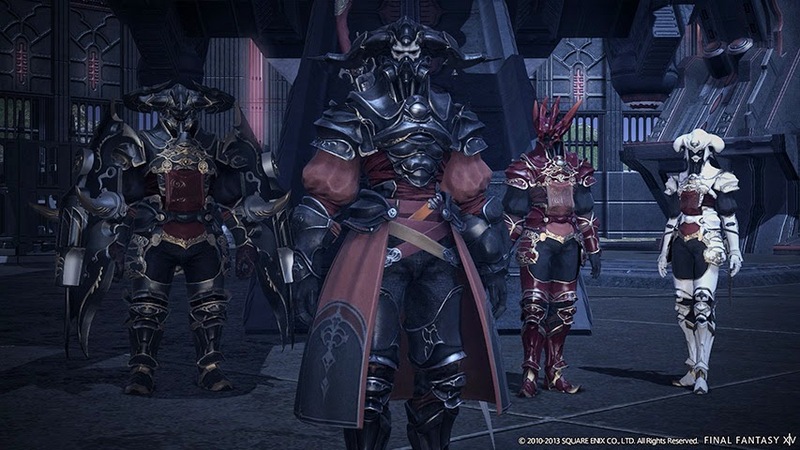 In the end it seems like Final Fantasy XIV might not be for me. Although I like the story and the Final Fantasy nostalgia I can't seem to appreciate the game as a whole because of it's MMO trappings. Every thing I dislike about this game is because of the MMO format. With that being said, it still is one of the best MMOs I've played. It's right up there with World of Warcraft in terms of quality. The mechanics, gameplay, and graphics are all solid for a MMO. The best part of Final Fantasy XIV is it's community. I've had the most positive experience in this community out of any MMO I've ever played. Almost every time I was new to a dungeon the other players were happy to help. It doesn't hurt that the game incentivizes playing through old content and helping new players. It truly is social engineering at it's finest. Rewards are given for using the Duty Finder Roulette too. The roulette will place you in any dungeon where you are needed at any level. Your level will scale down to that dungeon via a level sync system and the dungeons are perfectly tuned to those levels. Not only do you get a huge bonus for completing a dungeon via the Duty Finder Roulette, but if it was a player's first time through that dungeon you get another bonus on top of it. Basically, it rewards veterans for helping newbies. It has made for a great community. In my entire playthrough I haven't had a single bad experience with a dungeon group. I haven't been able to say that for any other MMO I've played. The level sync the game uses in these situations is really cool too. It will sync your level down to the maximum level for the content. For example, if I'm level 50 and enter a dungeon for levels 16-19 I will show up in that dungeon synced to level 19. And this is true for the random world events you encounter on a daily basis too. With the click of a button you can sync your level to the level of the event and be participating in seconds. The most redeeming part of Final Fantasy XIV is it's story. The main storyline is actually the best story I've ever experienced in a MMO. I felt like I was truly making progression while doing story quests and I was invested in the story by the end of the game. When the credits rolled I got the same happy/sad/nostalgic/reflective feeling that I always get at the end of a Final Fantasy game. Between that and my class quests I truly feel like my playtime in Final Fantasy XIV was worth it. This is my Bard at the end of the game. Great hat... interesting shoes. 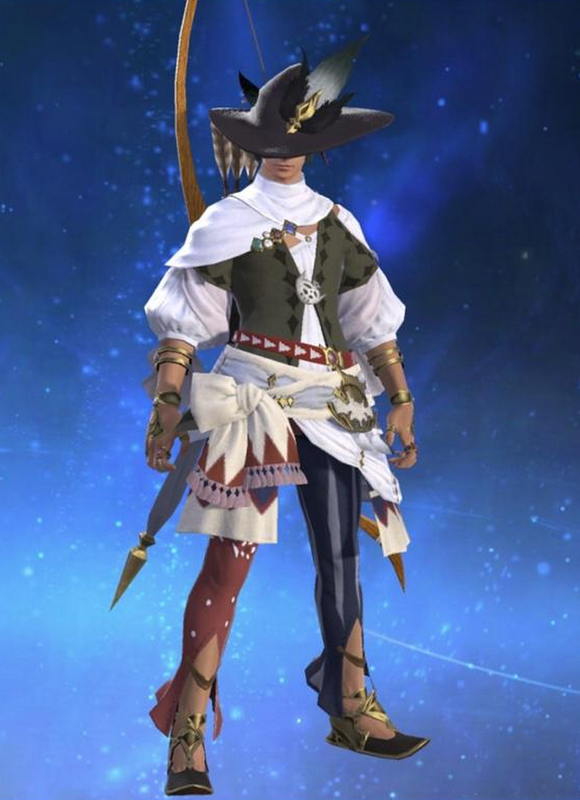 Final Fantasy XIV: A Realm Reborn is actually a very good MMO. It's just not as good as the single player Final Fantasy games. But it's really not fair to compare them. They're essentially different genres of game. For that reason I won't be putting Final Fantasy XIV: A Realm Reborn in my Final Fantasy ranking. There's no fair way to compare single player RPGs to MMORPGs. Below, you'll see it unchanged since the last game I completed. I might jump on some more before my time expires. I really do like the dungeons and story. I just don't enjoy the gear treadmill at the end of the game. Depending on what the expansion adds, that might get me back online too. I would love some more story and leveling progression. It's just that raiding and endgame content never really does it for me. Wish I could do something like this in LOTRO for the 'old' instances which are nigh on impossible to get groups for and far more fun on level! I would love to see some of the social engineering and incentive structure stolen from FFXIV and placed in other MMOs. I think it would go a long way toward keeping lots of content available and fresh for players.